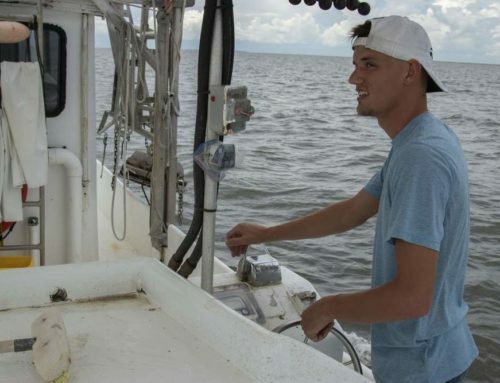 Economists must work together with scientists to address the problem of dead zones such as the one in the Gulf of Mexico. 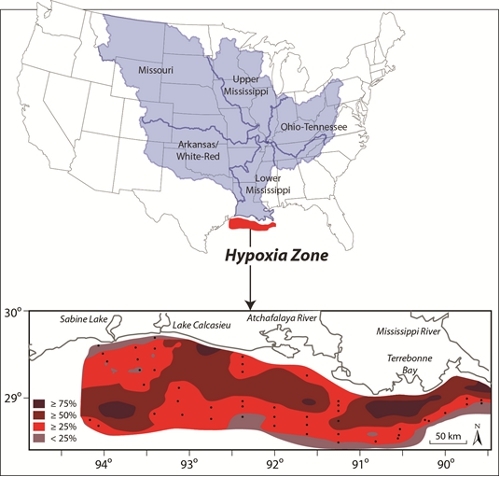 The United States is home to the second largest hypoxic (or dead zone) in the world, in the Gulf of Mexico. Such zones have oxygen levels that are too low to support aquatic life, which can threaten local industry. Sergey Rabotyagov, Catherine Kling, Philip Gassman, Nancy Rabalais andR.Eugene Turner have made an in-depth study of the Gulf of Mexico’s dead zone, finding that a 30 percent reduction in the upstream nitrogen and phosphorus being introduced into the environment from agriculture and other industries would be enough to achieve the reductions desired by a federal and state action plan. 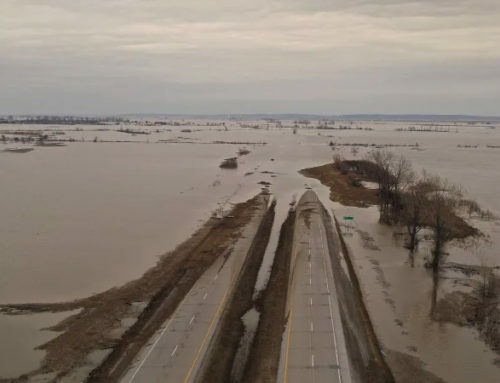 They argue that these reductions will only be possible in concert with carefully designed economic and agricultural policies, and that economists must work closely with terrestrial and marine ecologists and other natural scientists to ensure these policies are cost effective. The BP Deepwater Horizon oil spill in the Gulf of Mexico in 2010 drew the attention of the public to the importance and fragility of coastal environments. Unfortunately, the threat to marine coastal areas is not limited to oil spills. 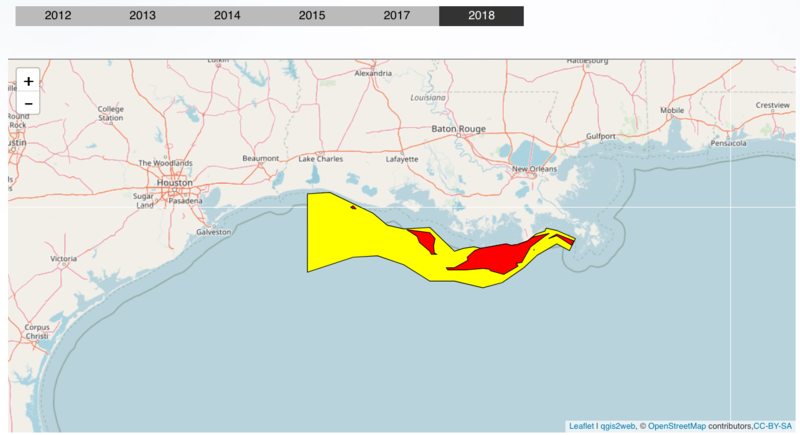 The Gulf region faces other threats, including the large seasonal hypoxic, or “dead,” zone that occurs annually off the coast of Louisiana and Texas (Figure 1). Even more concerning is the fact that such dead zones have been appearing worldwide at proliferating rates (Figure 2). Main figure shows Mississippi-Atchafalaya River Basin. 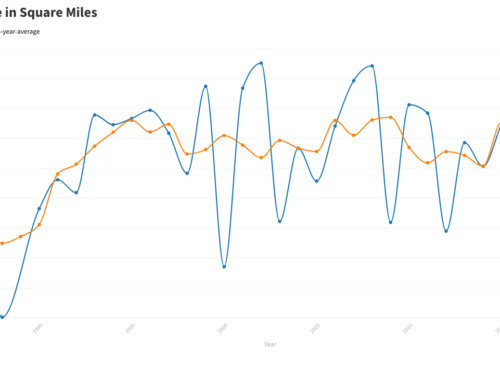 Inset: Frequency of mid-summer bottom-water hypoxia (≤2 mg/L O2) off the coast of Louisiana and Texas for 60 to 80 stations (small dots) sampled during the summer from 1985 to 2008. The rather alarming term “dead zone” is surprisingly appropriate: hypoxic regions exhibit oxygen levels that are too low to support many aquatic organisms, including commercially desirable species. While some dead zones are naturally occurring, their number, size, and duration have exploded due to anthropogenic nutrient contributions from agricultural, municipal, and industrial sources. There is three times as much reactive nitrogen and phosphorus being dispersed into the world’s oceans today as during pre-industrial times. While nutrients are valuable inputs to agricultural production, they become externalities when exported to local waterways via runoff from farm fields, urban landscapes, or municipal wastewater, and transported further downstream to freshwater lakes, estuaries, coastal ecosystems, and the ocean. Once deposited at these locations, the nutrients feed the growth of phytoplankton. 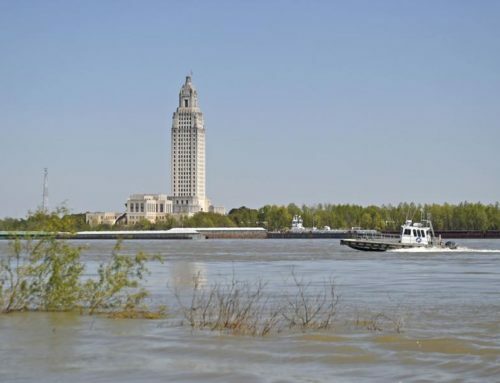 This process is known as “eutrophication” and has a number of negative effects on ecosystems, including noxious and toxic algal blooms, oxygen deficiency, unpleasant odors, habitat alterations, and the degeneration of both aesthetic and economic values. Oxygen depletion occurs as the phytoplankton dies, falls through the water column, and decomposes consuming oxygen faster than its reaeration rate. Scientific understanding of the impacts of hypoxia on ecosystem services and the resulting changes in economic welfare is increasing; however, much remains unknown. 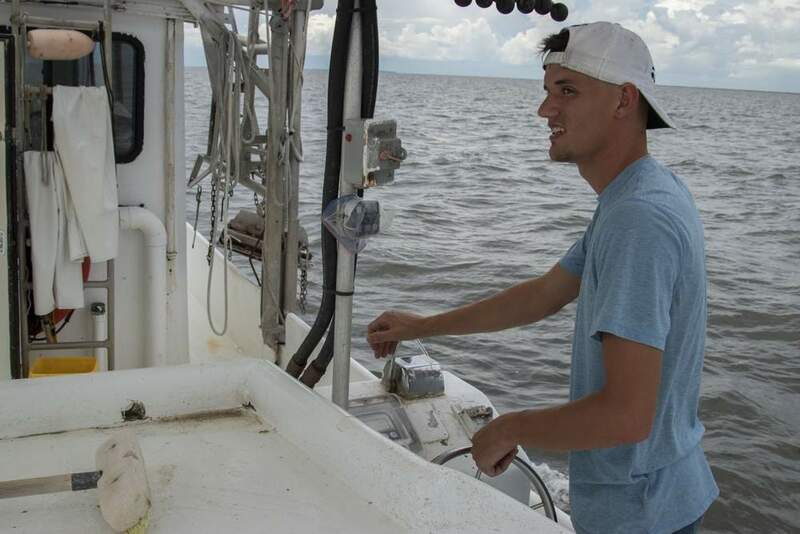 Economists, in turn, have examined the effects of hypoxia on both marketed goods (primarily commercial fisheries) and nonmarket goods (primarily recreational fisheries). Despite substantial research efforts, significant work for economists and ecologists remains. Despite the remaining research uncertainties, the United States (home to the second-largest hypoxic zone in the Gulf of Mexico) recently followed Europe (home to the largest hypoxic area in the Baltic Sea) with a policy response. In 2008, an updated Action Plan for Reducing, Mitigating, and Controlling Hypoxia in the Northern Gulf of Mexico was adopted. 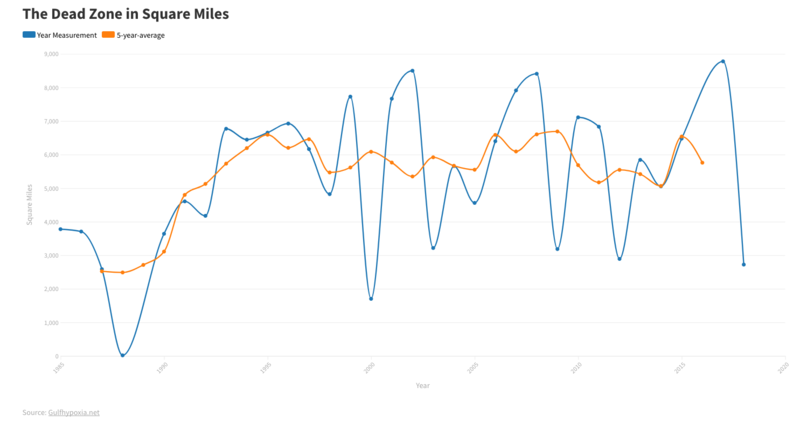 The Action Plan, a joint federal-state effort, set the goal of reducing the size of the NGOM hypoxic area to less than 5,000 km2 over a 5-year period. The recommended physical mechanism for achieving the goal is the dual reductions in nitrogen and phosphorus exports to the Gulf. 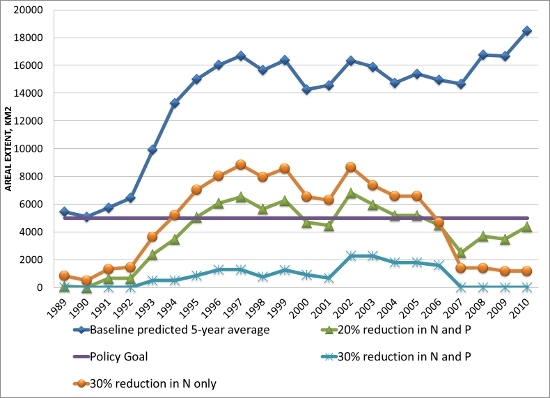 Quantifiable nutrient reduction targets have largely been expressed in terms of nitrogen reductions (the first Action Plan (2001) estimated that a 30 percent reduction in the nitrogen load would likely be needed to achieve that goal). It was later predicted that nitrogen load reductions closer to 35 to 45 percent would be needed. In recent research, we estimated the area of the hypoxic zone using a production function approach that represents hypoxia as a function of nitrogen and phosphorus inputs. We used our estimated model to examine the implications of reducing the observed nitrogen and phosphorus loads for achieving the Action Plan goal (Figure 3). We find that a simultaneous 30 percent reduction in May nitrogen (N) and June phosphorus (P) loads relative to baseline loads would have been sufficient to reduce the size of the hypoxia to less than 5,000 km2 on average. Ideally, the policy goals would reflect good information on the benefits and costs of hypoxia control. However, in the presence of fixed policy targets, it has long been recognized that the needed nutrient reductions should be achieved at the lowest cost to society. While the payoff in terms of cost-efficiency has consistently been found to be substantial, many issues hamper policy design. 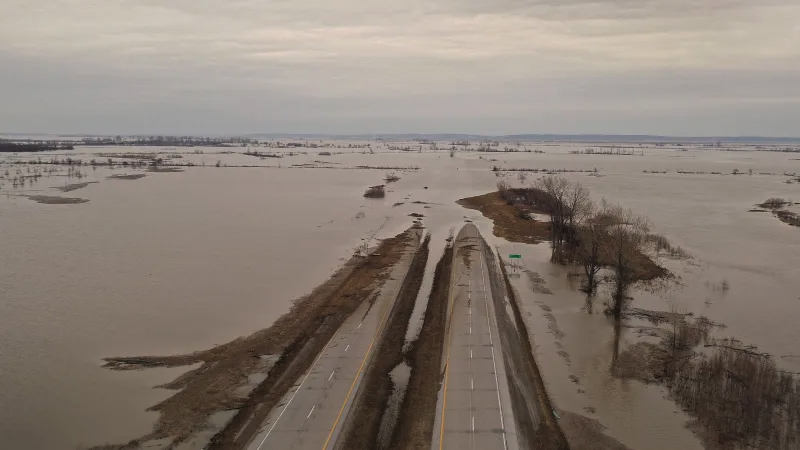 First among these issues is that dealing with pollution from diffuse sources such as agriculture and urban areas is clearly central to the eutrophication issue. Better scientific data and modeling, in conjunction with policy changes capable of using those advances, are capable, in principle, of providing a workable solution to the issue. Second, the scale of hypoxia problems often leads to the issues of international cooperation, transboundary pollution, and managing the commons. The transboundary nature of the nutrient export externality makes the design of efficient policy challenging because government entities often fail to consider the impacts on people living downstream. Another major challenge in designing cost-effective policy is that there are a host of existing policies that alter the incentives for actions that contribute to hypoxia problems. For example, burning of fossil fuels directly and indirectly affects the amount of nitrogen deposited in marine systems, and future climate change impacts and mitigation/adaptation policies will likely affect hypoxia. Agricultural policies interact directly with hypoxia issues because agriculture is often the most important source of nutrient contributions. For instance, in the United States, government support for agricultural conservation practices has been estimated to reduce nutrient loadings from agriculture significantly, although existing conservation efforts are clearly not sufficient and additional efforts should be carefully targeted to meet both the local and downstream nutrient reduction goals. 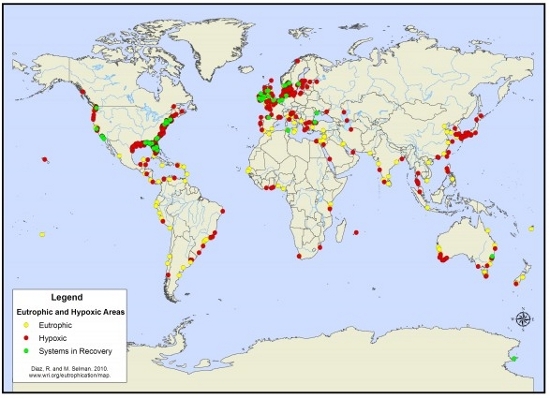 A number of issues and challenges must be addressed to design effective and efficient policies to mitigate hypoxic zones, including improving the integration of ecological and economic models, while recognizing the dynamics of pollution and economic processes, and explicitly accounting for uncertainty, policy interactions, and issues of political economy. This conclusion suggests that economists must work closely with terrestrial and marine ecologists and other natural scientists to address these problems. Another area where integration is urgently needed is in connecting the findings from integrated economic and ecological models and ecosystem valuation work to the policy process. To date, such integration has not been satisfactory. For example, despite the rigorous scientific work establishing nutrient reduction targets for the countries surrounding the the Baltic Sea, there has been resistance in the policy arena to implementing cost-effective nutrient abatement across the emitting countries, although the door remains open for a comprehensive nutrient reduction trading. To create and foster these linkages, economists need to do a better job of communicating to policy makers that the efficiency properties they study contribute to the well-being of humans and the environment. 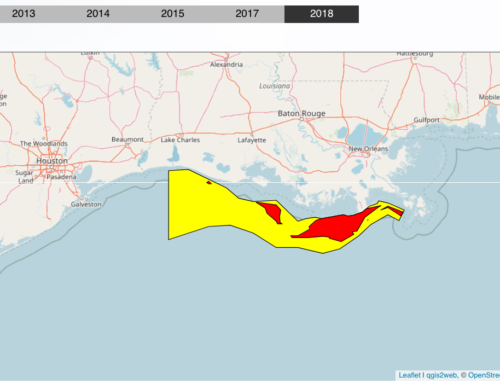 Dean Cooper2017-01-17T09:21:59+00:00May 22nd, 2014|News|Comments Off on Economists must work together with scientists to address the problem of dead zones such as the one in the Gulf of Mexico.